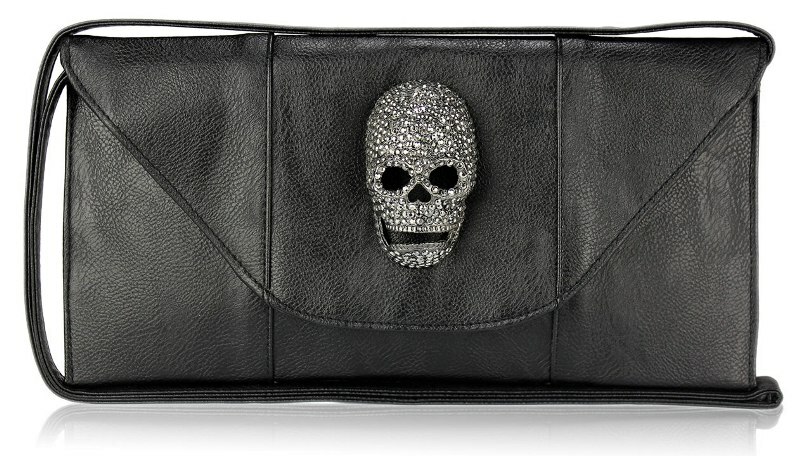 THIS: Rhinestone Skull Clutch Bag from beautycouture.ie | Bright & Beautyfull! Sparkly skulls? They just knock the love right out of the park. Oops, a baseball-y phrase. Or: kicks the love into touch. For all you Anitpodean/European rugby types. This is the Rhinestone Skull Clutch Bag (€30) available at beautycouture.ie. It is 12 inches wide and 6.25 inches high, which is basically perfect. There’s a strap to relieve it of its clutchiness, should you so desire.